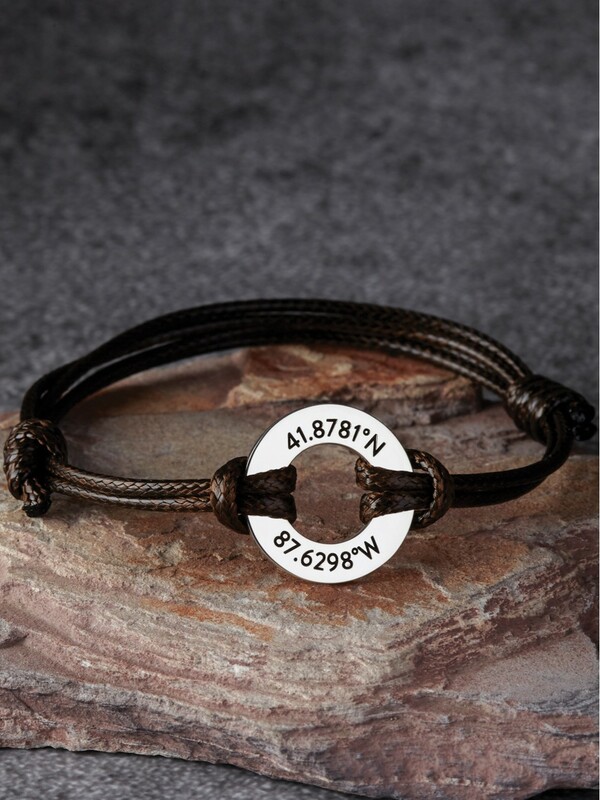 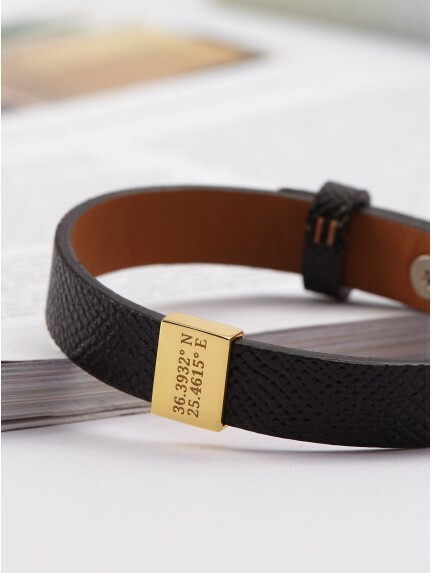 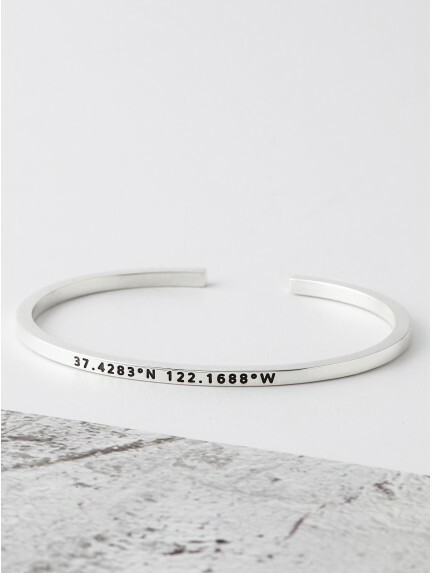 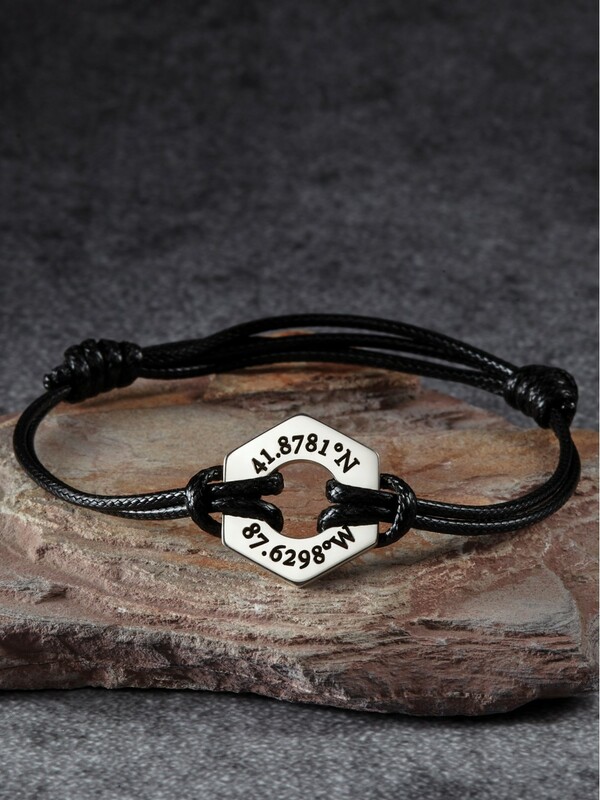 Available in both cool leather & classic sterling silver, our wide range of coordinate bracelets for him are engraved with the GPS longitude and latitude of your special place. 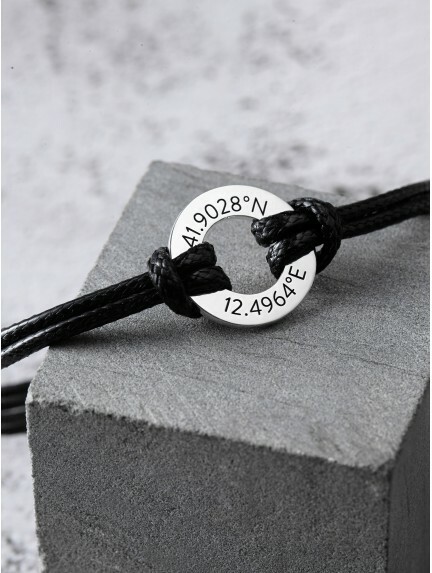 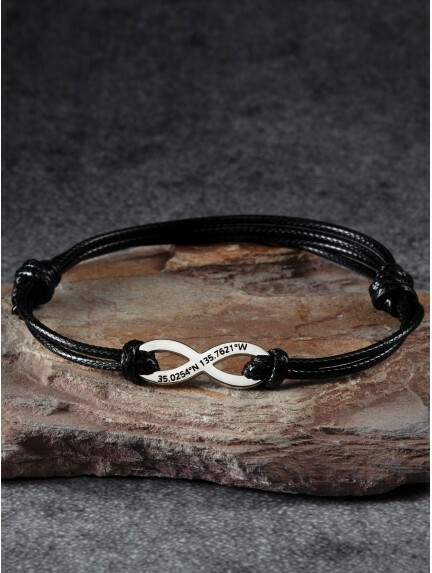 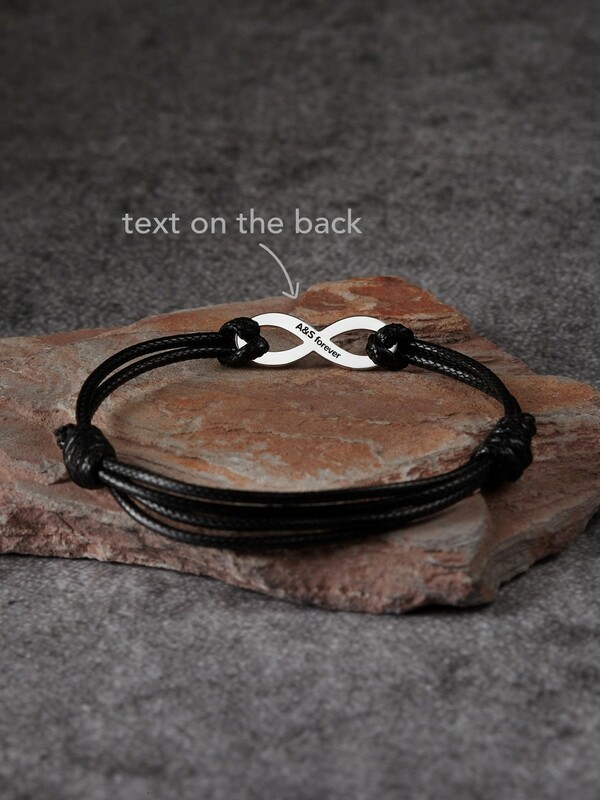 Great as anniversary gift or long distance relationship gift for him, these coordinate bracelets for guys are handcrafted to order in our workshop. 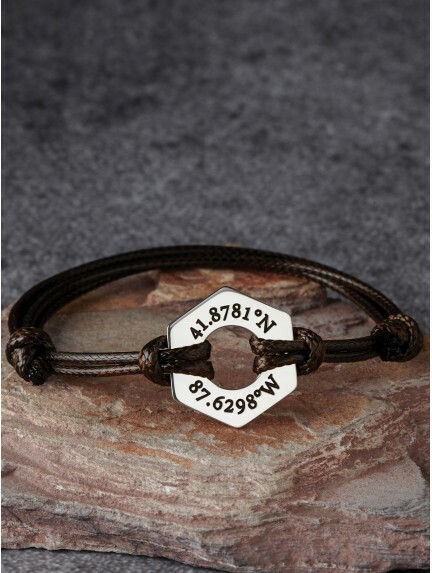 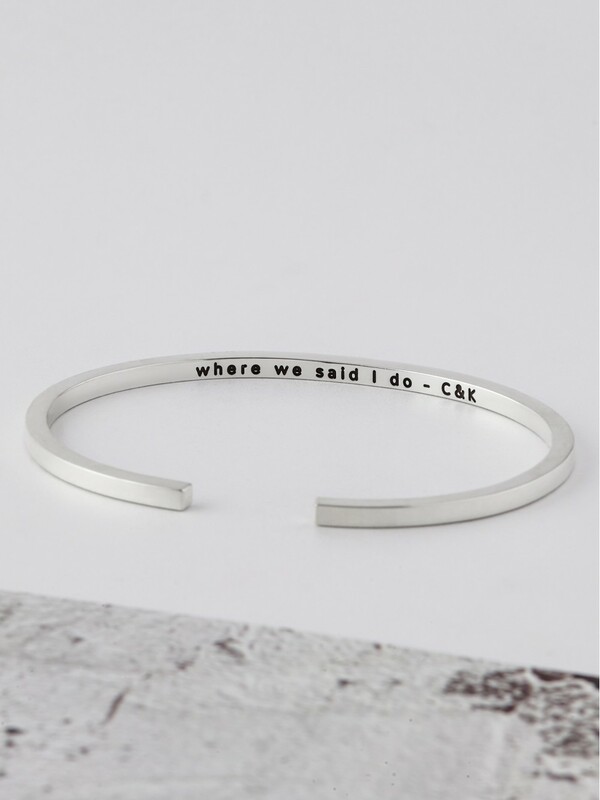 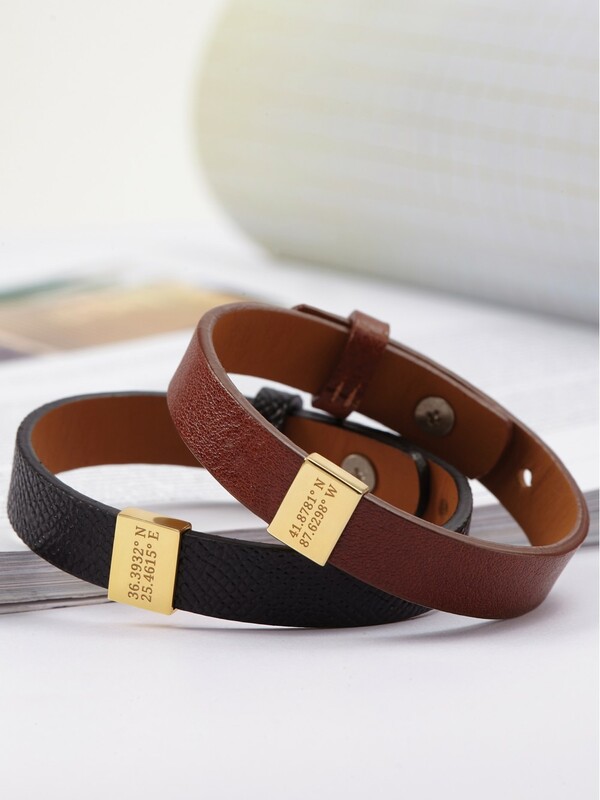 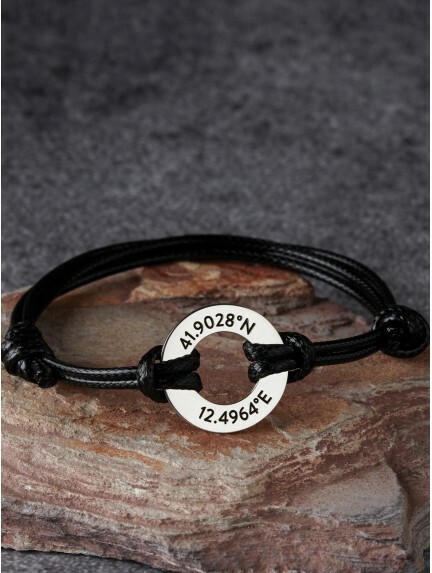 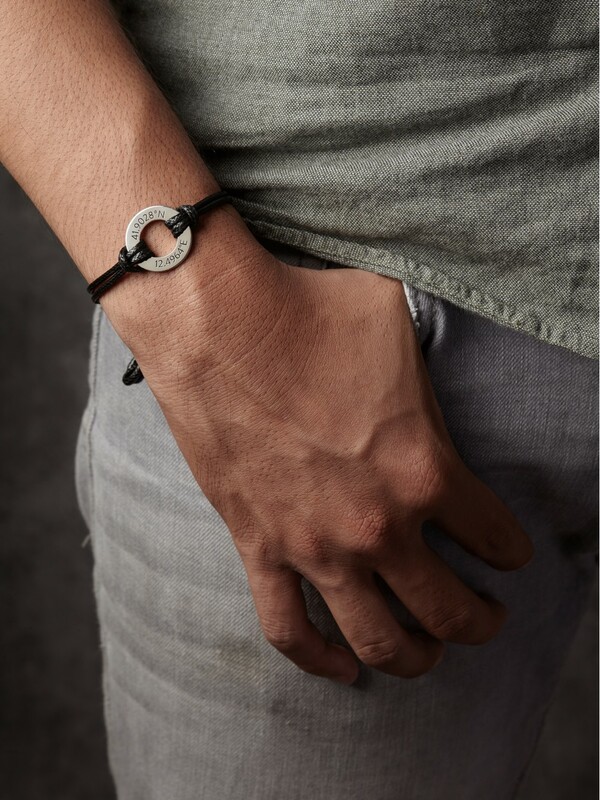 Designed with a modern aesthetics and quality in mind, these longitude and latitude bracelets for him will be wonderful Valentine's Day gifts or graduation gifts, even for the man who has everything.